$10 OFF - LIMITED TIME OFFER - JOIN AT THE BOTTOM OF THE PAGE! 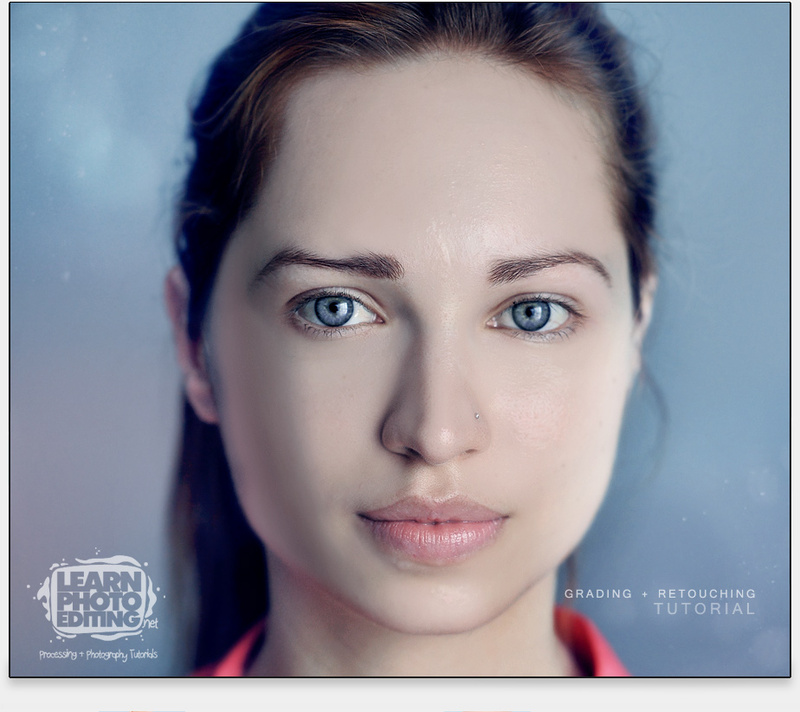 In this 130-minute video tutorial I will show you different retouching techniques and tricks that will help you transform regular people into eye-popping characters. 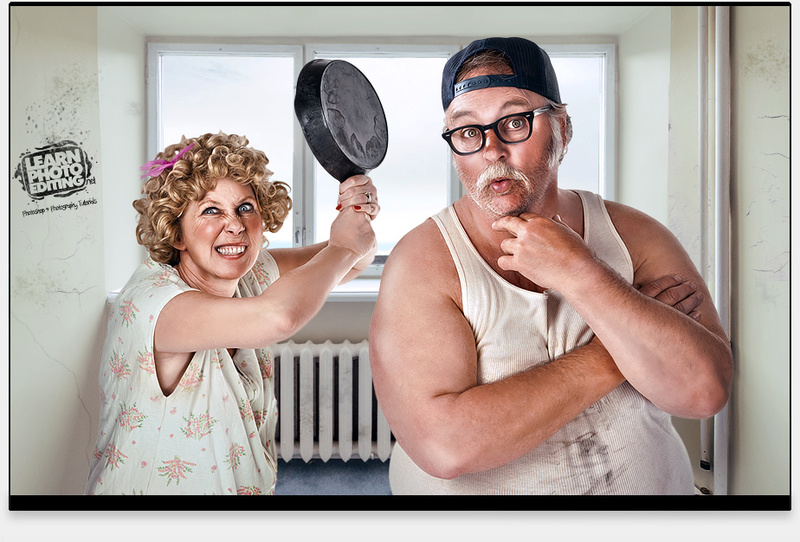 In this Photoshop tutorial, we will enhance the facial features of the man and the woman giving them a funny cartoonish look perfect for our artwork. We will then work on colors and add a background that will mesh well with our characters. In this case, I choose a background that would give the impression that those two were in an insane asylum! JOIN NOW TO GET ACCESS TO ALL TUTORIALS! In this 90 minute VIDEO tutorial, we will explore different techniques, like color isolation, to bring out the contrast of the skintones, as well as the contrast between the shadows and highlights. 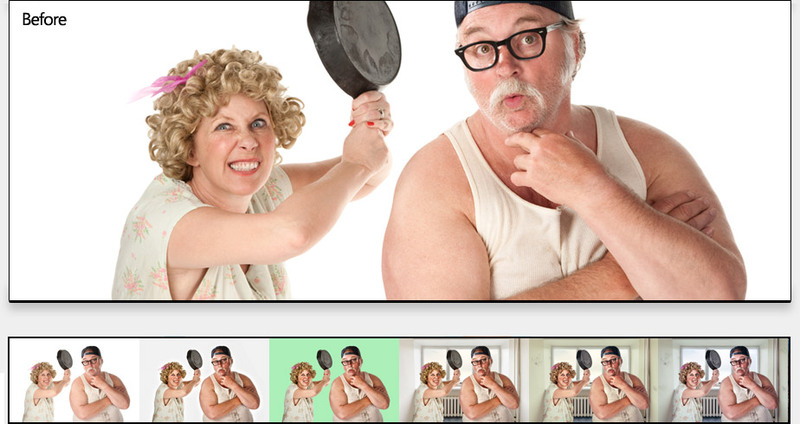 We will also focus on bringing out the details of the facial features and hair to make our photo come alive! 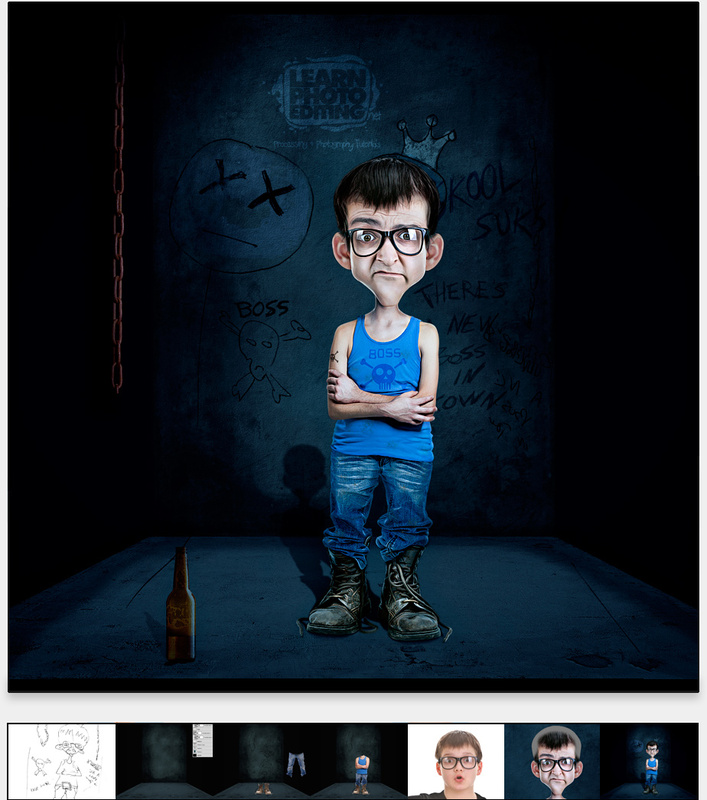 For this tutorial, we will work on the portrait of a small child as the techniques we'll use here are perfect for single and family portrait. The results you will get will from applying this knowledge to your photo editing will surely amaze your clients, or your family! 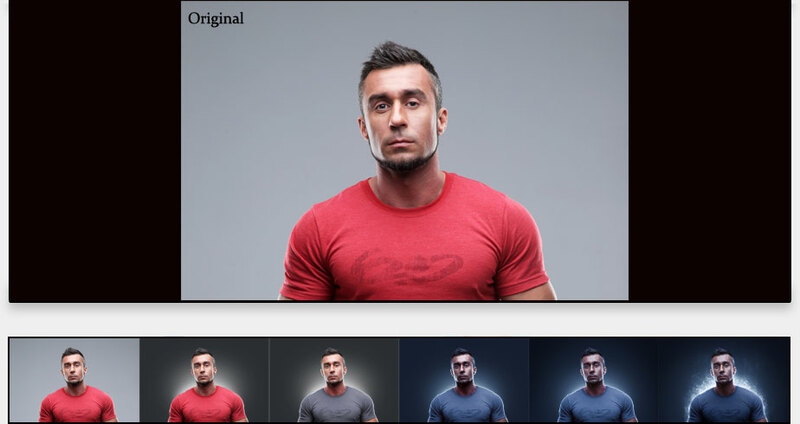 In this 140-minute VIDEO tutorial, we will start with a basic studio photo and create a completely different, much darker environment, add sources of lights and create a cool smoky vapor effect which will give our photo the look of a commerical poster featuring a celebrity athlete. By mastering the Photoshop techniques shown in this tutorial, you will be able to create any mood you wish for your photos even though they were taken in a bright environment! 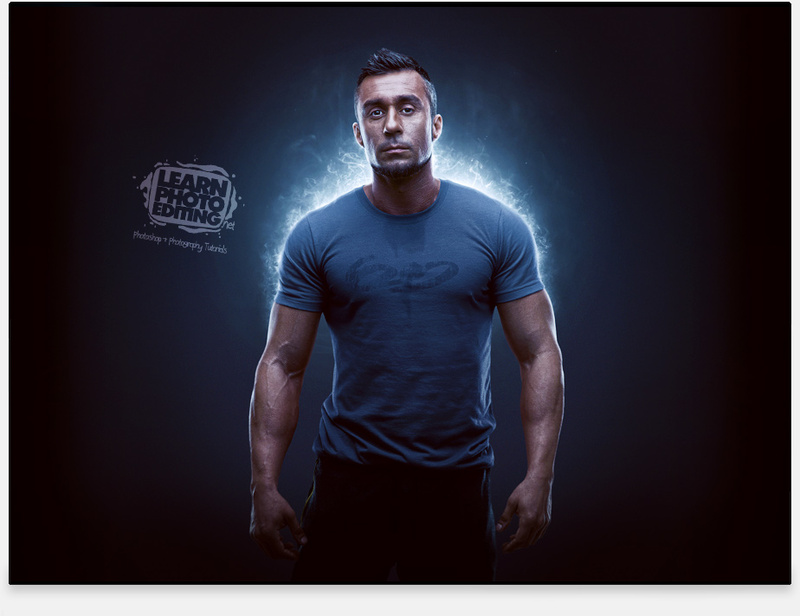 You will also learn how to create light effects that will make your photos "pop" and grabs everyone's attention! 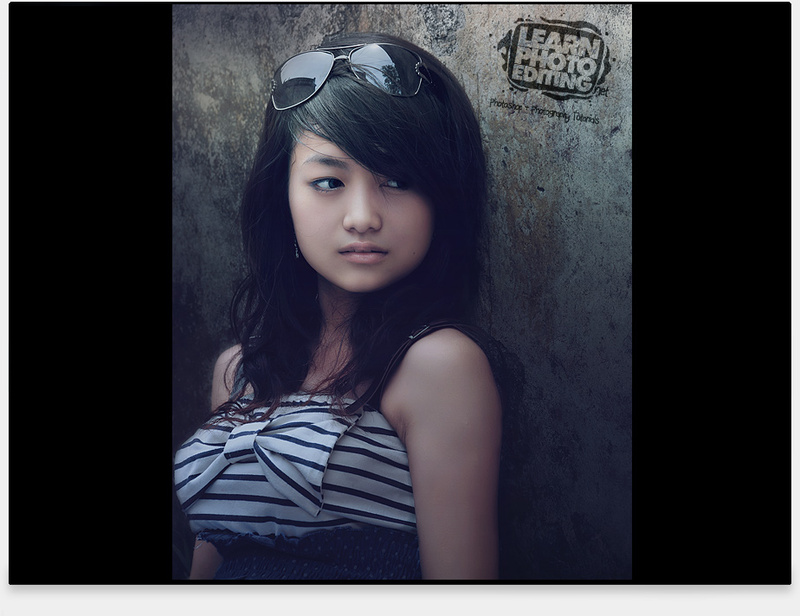 In this 50 minute VIDEO tutorial, we will start with an unretouched portrait of a girl, a photo anyone can take at home with their camera and transform it into some sort of fantasy character. We will go through every step I took to get the final result, from working on the skin, color grading, lighting and finishing with the background. With the techniques you'll master after completing this Photoshop tutorial, you will be able to create many different looks for your portraits, whether you just want a subtle enhancement or you really want to push it and transform your portrait into something that is out of this world! 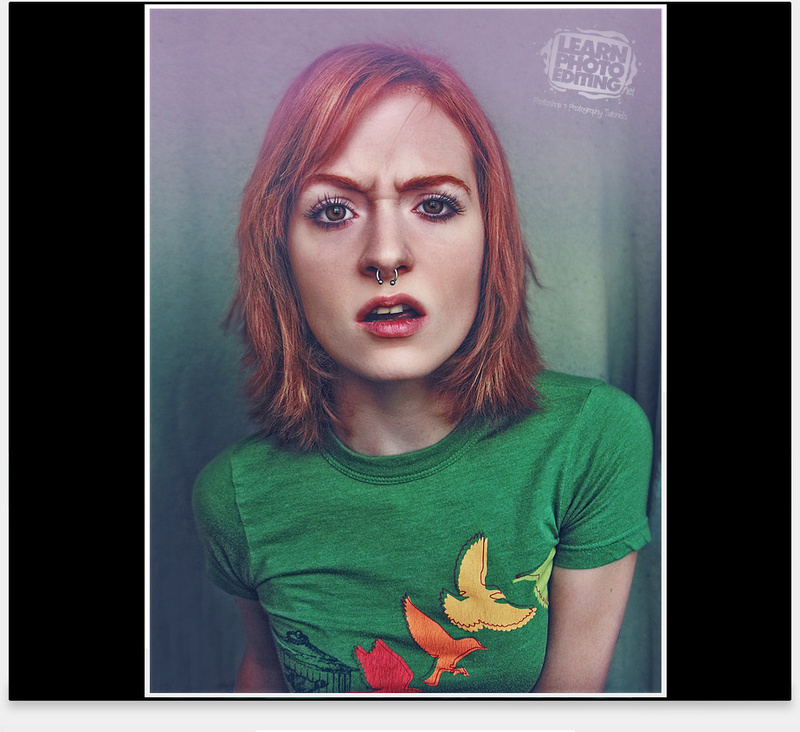 In this 88-minute VIDEO tutorial, we will start with a cool self-portrait from NikxStock and with the help of Photoshop, we will transform it into some sort of flashy, punk rock, studio shot portrait! 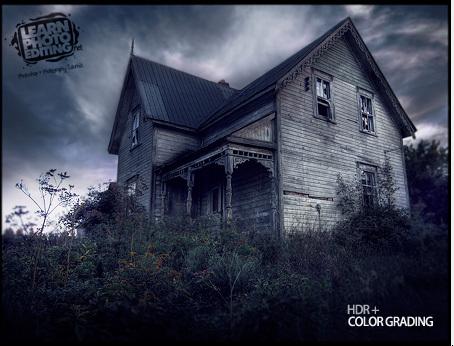 By creating and starting off with a high dynamic range base, we will then be able to build up a unique look by adding up different retouching and color grading techniques. In this detailed 3-hour Video Tutorial, I will show you step by step how you can turn an average Joe into a surreal eye-popping character using advanced retouching techniques. We will also be working on adding light effects to the image, adding a rim light around our character and then color grading our scene to make it look rather creepy. 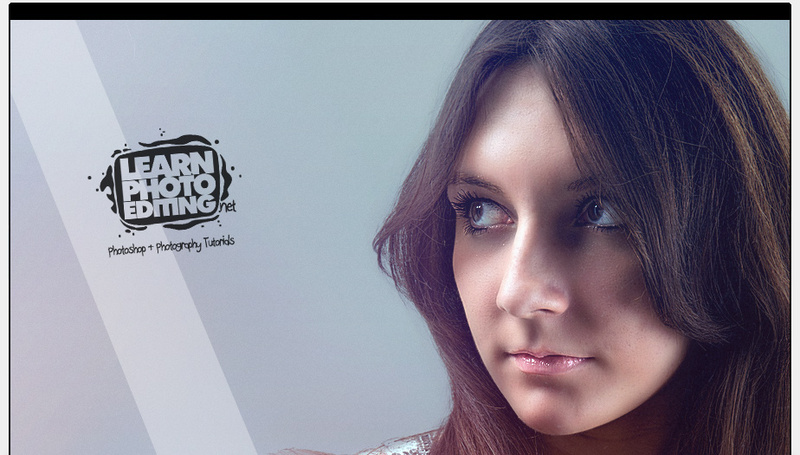 This Photoshop tutorial will benefit anyone who wants to take their game to the next level when it comes to creative portrait retouching! In this 88-minute video tutorial, we will take a basic photo with a white background and transform it into a photo that looks like it was taken during a glamorous high-end photo shoot! In this tutorial, we'll explore a different technique to create a smoother, blemish-free skin, we will also work on the colors using especially Gradient Map and Gradient Fill and of course, we will work on making all the details in our photo pop! In this 55-minute video tutorial we will use advanced color grading techniques to transform a photo that desperately needs more punch into an high impact image that could be used in a magazine ad for example. By using different techniques to exaggerate to contrasts and accentuate the colors, we can give our photo a sort of "painted" look that is very popular right now with commercial photographers. If you want to take your photography to another level, this tutorial will show show step by step how to edit your photos like the pros. And if you are a graphic designer, the knowledge you will learn in this Photoshop tutorial will further help you to create eye-popping art! ALSO, because we dramatically enhances the contrast and details of the photo, this technique becomes perfect for anyone who wants to create stunning Black & White photos. CLICK the image above or the link below to see how the B&W photo looks like! HOW TO GIVE YOUR PORTRAITS THE "VIDEO GAME LOOK"
Video games these days are more and more realistic and a lot of attention is put on the esthetics of their 3D characters. In this 2 hour+ Video Tutorial, we will transform a portrait of a regular guy into something that look straight out of the latest video game. And of course, if you want something that looks a little more realistic, we can easily tone down the effects while keeping a very original look! In this Photoshop tutorial we will use advanced retouching techniques that you can use to create that same sleek/artistic look for any portraits. In this 105-minute video tutorial, I show you how you can improve the look and details of someone face/skin and really give your photos or the people in your photomanipulatons a very cool and impactful look! Starting with a generic picture of a business man, we will layer by layer improve the details, contrasts and colors until we get something that will really get people's attention! In this 150-minute VIDEO tutorial, we will use gradients to glam up a casual portrait and make our subject look like a high-end fashion model! After using a very effective retouching technique to create our base, we will then create a totally different look and mood by using a variety of gradients along with other color grading techniques. Gradients are very powerfull when you understand how to use them. 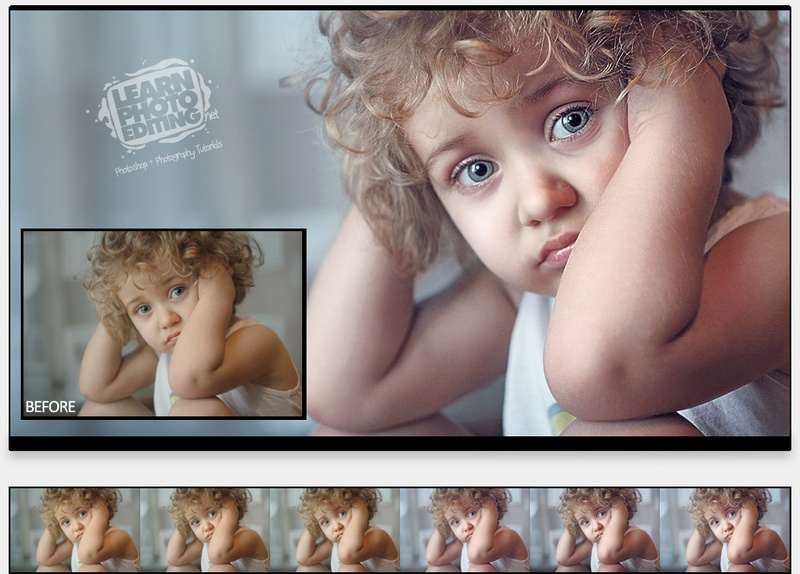 If you are serious about photo editing, you must add this important tool to your toolbox! In this 87-minute video tutorial I will show you how to use the photo of a person and transform him or her into an eye-popping real-life looking Disney character! 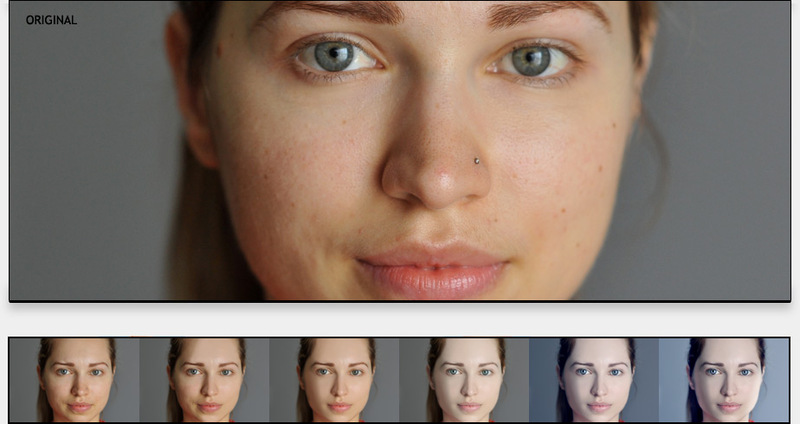 We will first use a pretty neat technique to retouch the model, the skin and then we will use photomanipulation methods to transform the girl into someone with pretty wacky proportions which will give us a very cool and surreal result! In this Photoshop tutorial, we will cover many aspects of photo editing which will surely help you make your photos ''pop'' and attract attention! 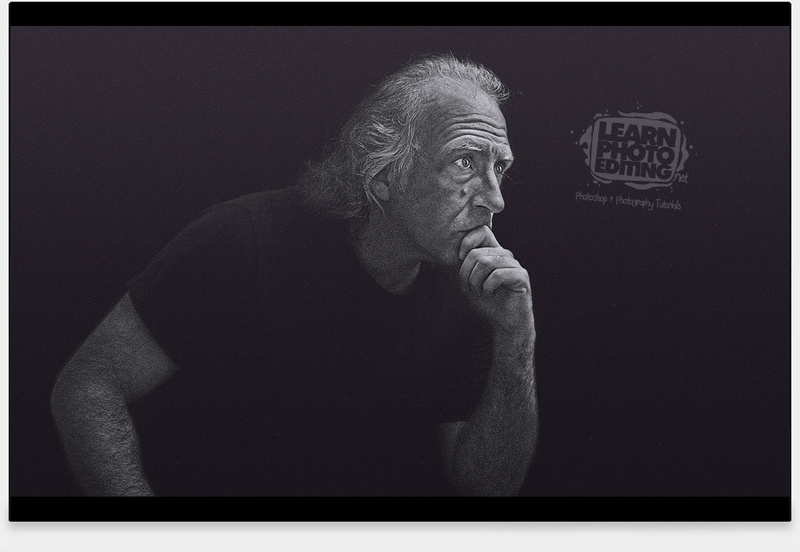 In this 40-minute video tutorial, we will create a black & white portrait giving it a style often seen in promotional images of TV series like 'Game of Thrones' and 'Sons of Anarchy'. Simply desaturating your photos to create a black & white image will only give you basic results - and who just wants basic results? If you want to create awesome B&W photos that will stand out from the rest, this tutorial is for you! 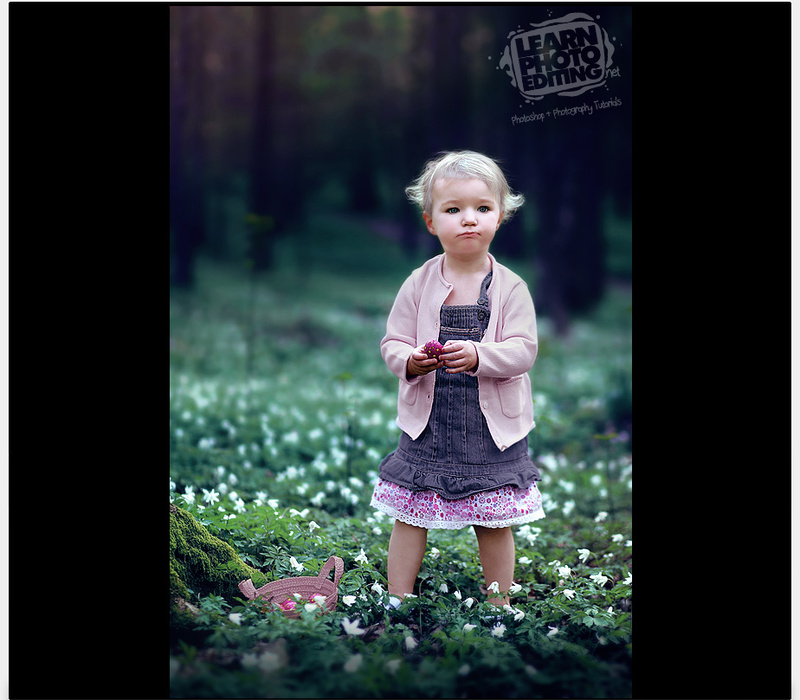 In this 2 hour video tutorial we will take this photo of a little girl standing in the woods, transform it into a fairytale-like scene and make her pop out of the photo! Most of this tutorial will focus on color correction/color grading techniques that will allow you to drastically change the look of a photo! 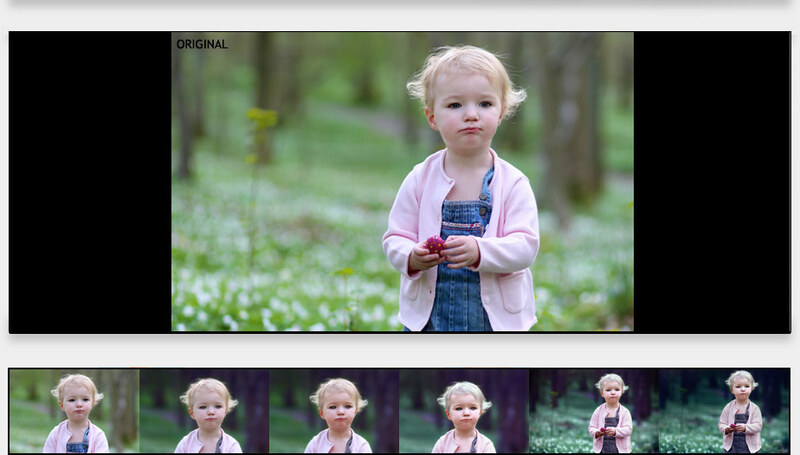 If you are looking to make your photos 'pop' more by improving the look of the background and foreground, this tutorial is for you! 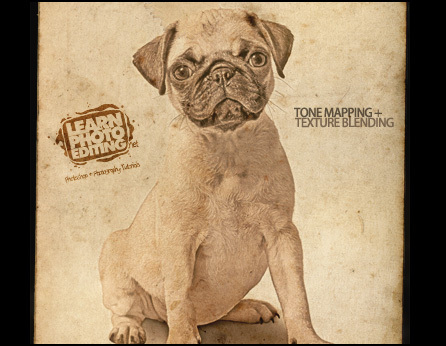 Getting guest teachers to create premium Photoshop tutorials for this site is something you will see more and more and for this one, it's an exceptional artist and photographer known as Ipoenk Graphic who wrote this exclusive tutorial for the members of LearnPhotoEditing.net! Ipoenk starts off with a photo he took himself and by using advanced color grading techniques and a bit of photomanipulation, he turns a snapshot of rural life into a breathtaking award-winning image. 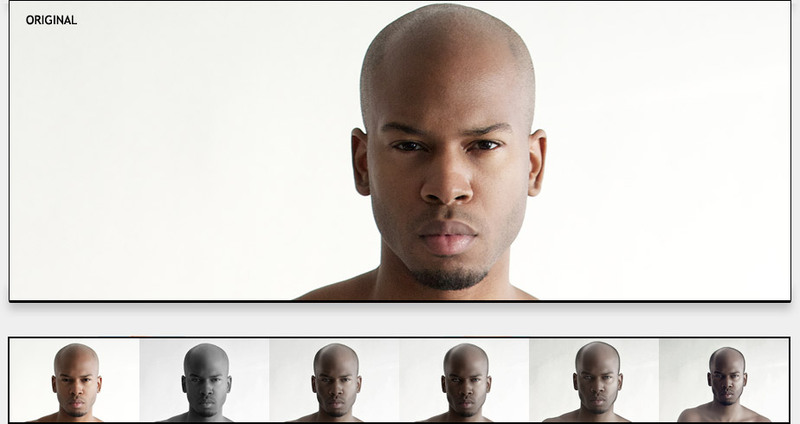 In this tutorial, he will show you step by step how he was able to achieve such a transformation. The knowledge you'll gain after completing this tutorial will allow you to transform your own photos into magical works of art! 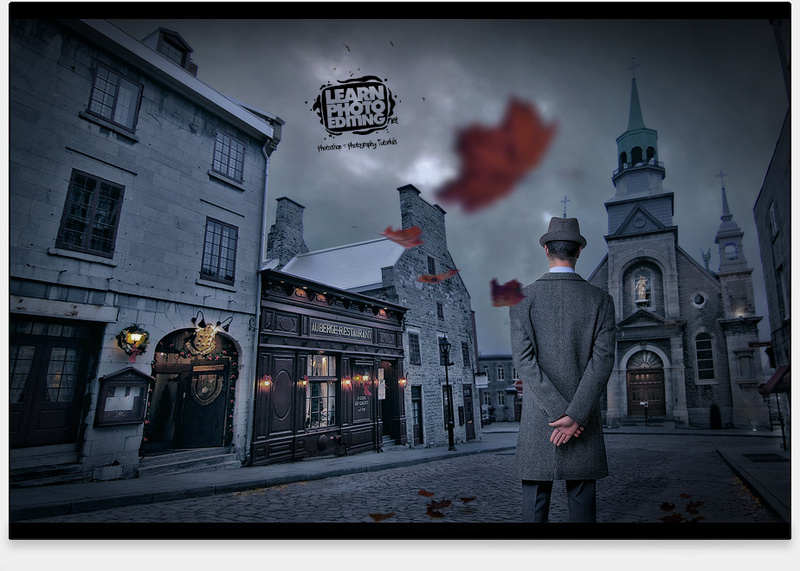 If you are a professional photographer, you absolutely need to learn the art of photomanipulation as this simple skill will allow you to offer much more than simple photos to your clients, you could offer them, for example, a trip back in time! Way back! 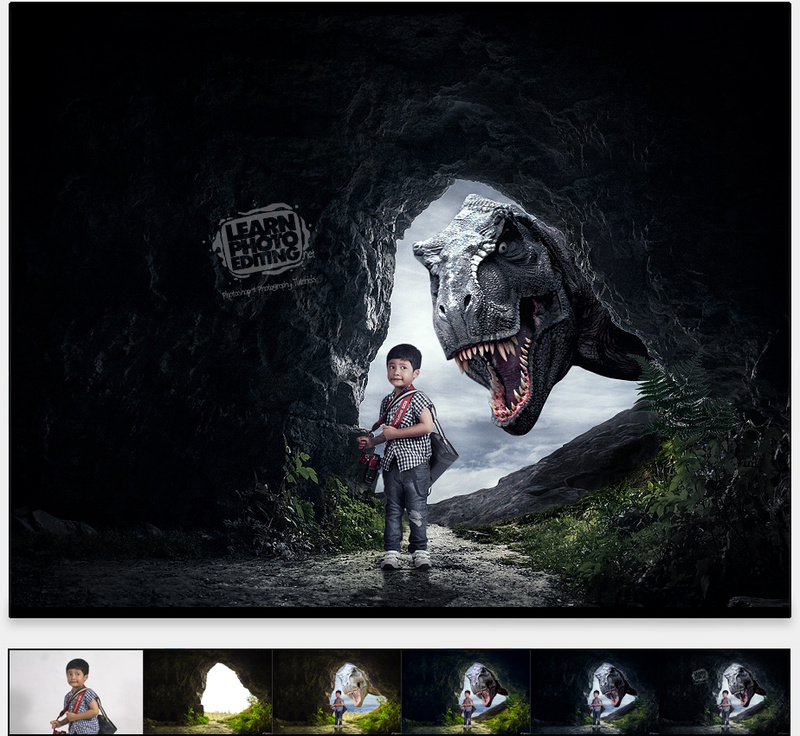 My friend and great artist Rivo Rareano created this tutorial exclusively for the members of LearnPhotoEditing.net using a photo he took of his son to create this beautiful "Lost World" art. In a Video Tutorial that last just about 2 hours, I will recreate his fantastic image and will explain to you step by step how Rivo created it. The end result is what you see above! In this Photoshop tutorial, you will not only learn about photomanipulation but also different color grading techniques. 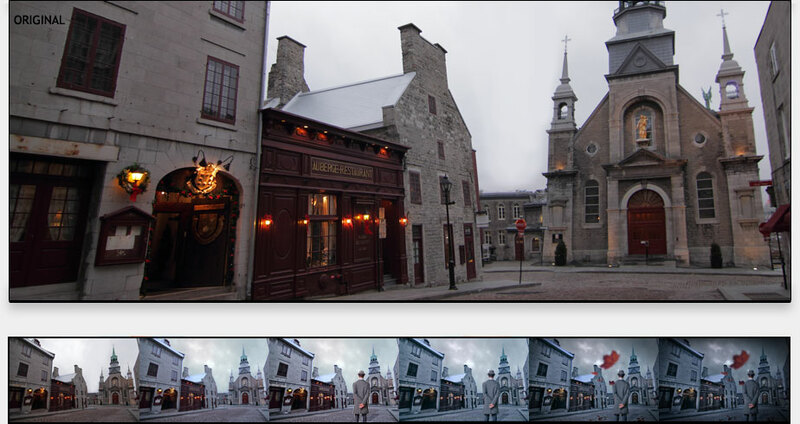 In this 115-minute Video Tutorial, we will transform this photo taken in Old Montreal and turn it into a night scene where we will focus on accentuating the details, add elements to spice up the image and work on the highlights and shadows to make everything pop more! In this 110-minute Video Tutorial, we will be transforming an unretouched photo of two models into a slicker and flashier image that will look like some poster ad used to promote products such as soft drinks or candies! Menthos anyone?! While we are doing this Photoshop tutorial, we will mostly concentrate on changing the look of the skin, add colored lights from both sides reflecting on the models' skin, add a much more interesting background and of course, we will spend some time color correcting/grading our image. 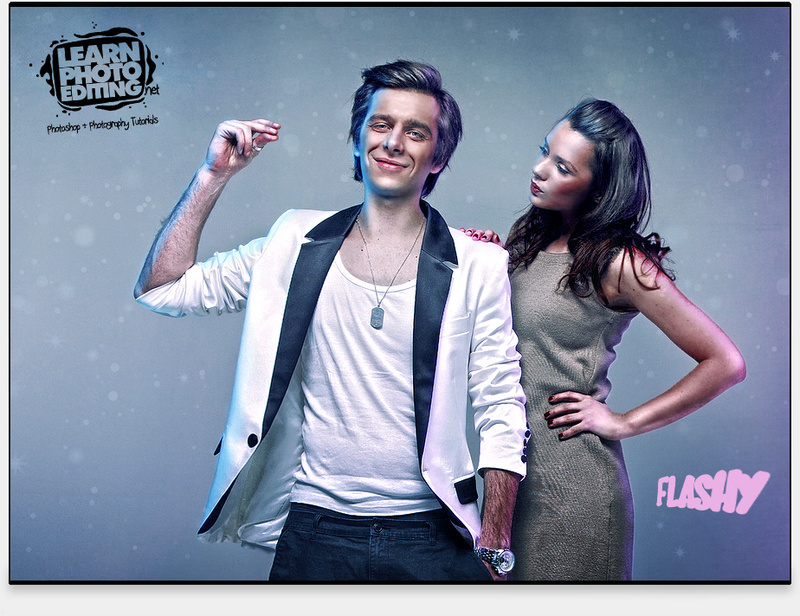 If you want to add some 'flash' to your photos, then this tutorial is for you! Retouching is something photographers always end up doing when taking portraits but one particular popular look, one that we often see in magazines or ads for beauty products is the flawless "airbrushed" look. 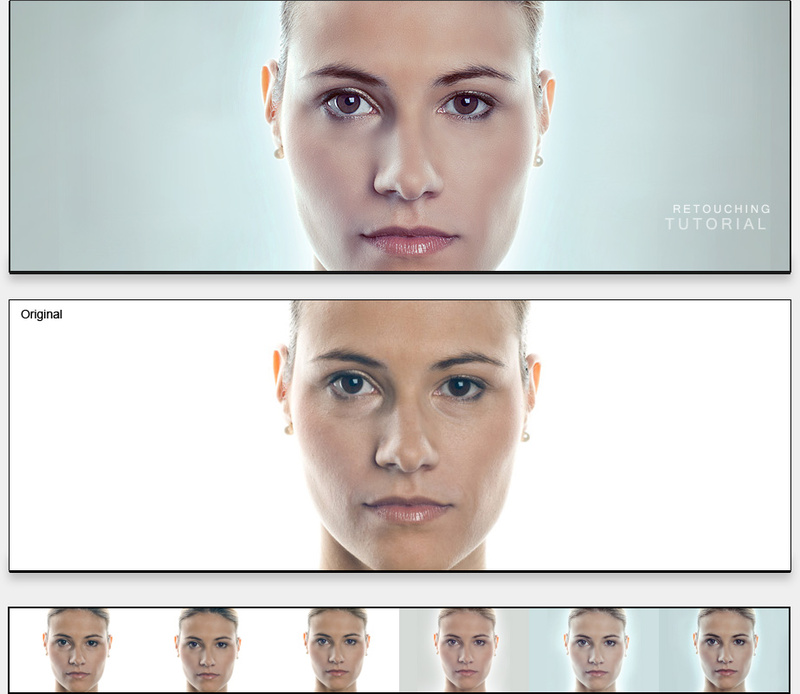 Well, there's no airbrushing going on in this Photoshop tutorial but what we will do here is take the unedited photo of a model with minimal make up and we will "glam it up", get rid of all imperfection and finally create the type of photo we can often see in beauty product ads and fashion magazines. Click the link below to learn more. *Update* For this retouching tutorial, I am using a completely different technique than the one I used for the NEW retouching tutorial at the top of this page. Both techniques are really useful and can be used for different situations. 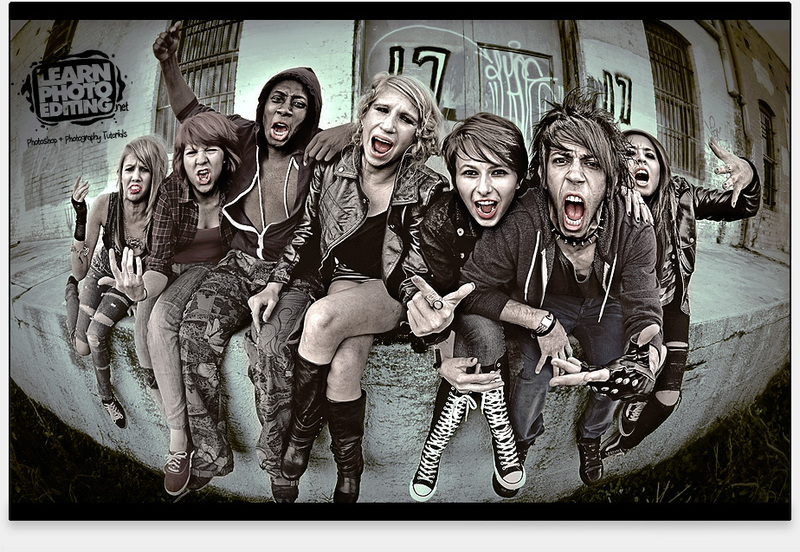 In this 85-minute Video Tutorial, we will transform this photo of "rebellious" teenagers into something much edgier and grungier, something that could certainly be used as a poster or album cover for a music band. 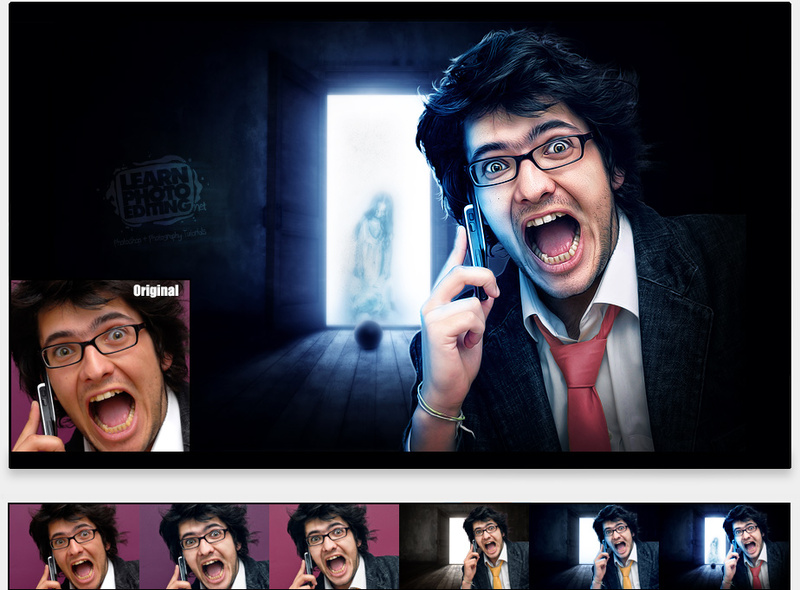 This look/effect could also be used for photos of extreme sports or even protraits! In this tutorial, we will explore different editing techniques that will allow us to bring out the details in our image, improve contrast and adjust the colors to give us the look you see above. In this MASSIVE 2 hour VIDEO tutorial, we will digitally transform a model into a Supermodel using advanced retouching techniques. 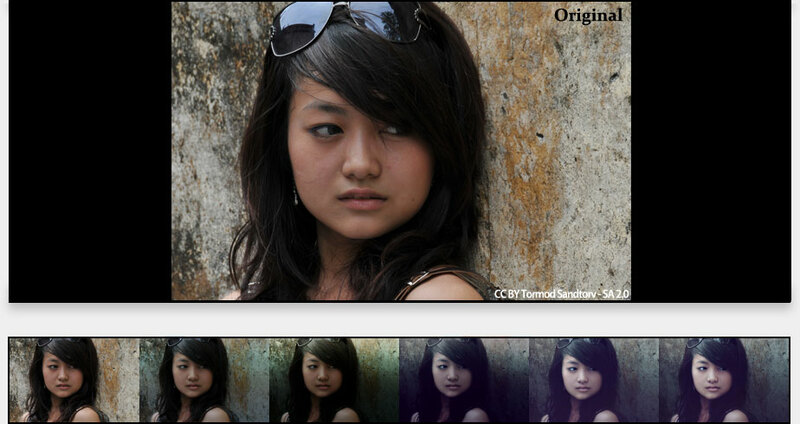 This is a tutorial I'm doing in collaboration with popular professional photographer Bishop Bautista ( www.bishopbautista.com ) who took the original photo. 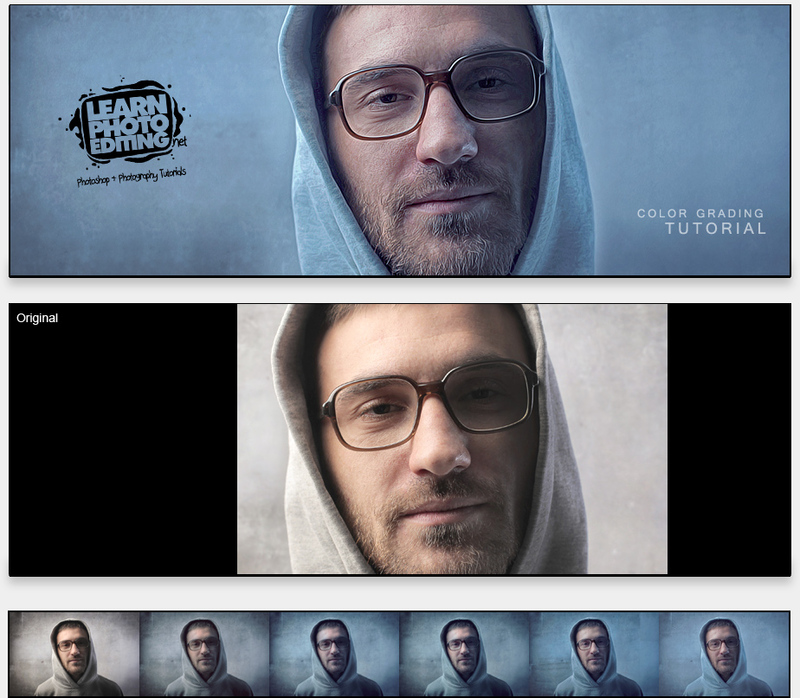 This tutorial was actually inspired by the way he edited and transformed that same exact photo. I tried to somewhat recreate what he did and this is my version and I'll show you exactly, step by step, how I did it! I believe that anyone with basic skills in Photoshop can do this tutorial and once you'll master this extreme transformation technique, you'll be able to not only do wild transformations like this one but also more subtle ones that your subject will certainly appreciate and be amazed by! In this 52-minute video tutorial we will use advanced color grading techniques to create a tone mapping effect without the use of any plugins or 3rd party software, we'll only be using Photoshop and what comes with it. We will start out with a photo taken with the aid of an off-the-camera flash and turn it into some sort of "reality show" poster ad. Taking a photo while using an additional fill-light or reflectors helps us retain a lot of details in the shadows and highlights which make it easier in post-production to really push the color grading. This tutorial will be really helpful to anyone who wants to give their photos a professional look with richer colors and higher contrasts. Click the link below to learn more. In this 57-Minute Video Tutorial I take a RAW photo and transform it into something much more interesting by pushing the color grading to the max. I start off in the Photoshop RAW photo editor (Camera Raw) and go through my usual workflow to prepare the photo for an extreme transformation in Photoshop. Then I show you all the steps I took and techniques I used to achieve the image you see right above! Shooting RAW is so essential in my opinion to really get the most out of your photos, to be able to bring back the details in the shadows and highlights but also to be able to bring back colors that could have been lost if you shot JPEGs. In this 45-minute video tutorial I will show you how you can get the most out of a RAW photo especially when your subject or the sky couldn't be properly exposed. When you take photos in nature and you don't have with you a reflector, especially when the sun is going down and you want to capture it along with your subject, you'll run into some problems. Either the sky will be blown out or your subject will be too dark. You can however with Photoshop correct that problem, bring out hidden details in the shadows and highlights as well as colors you didn't think were there. If you want to make your photos "pop" more, this is the tutorial for you! 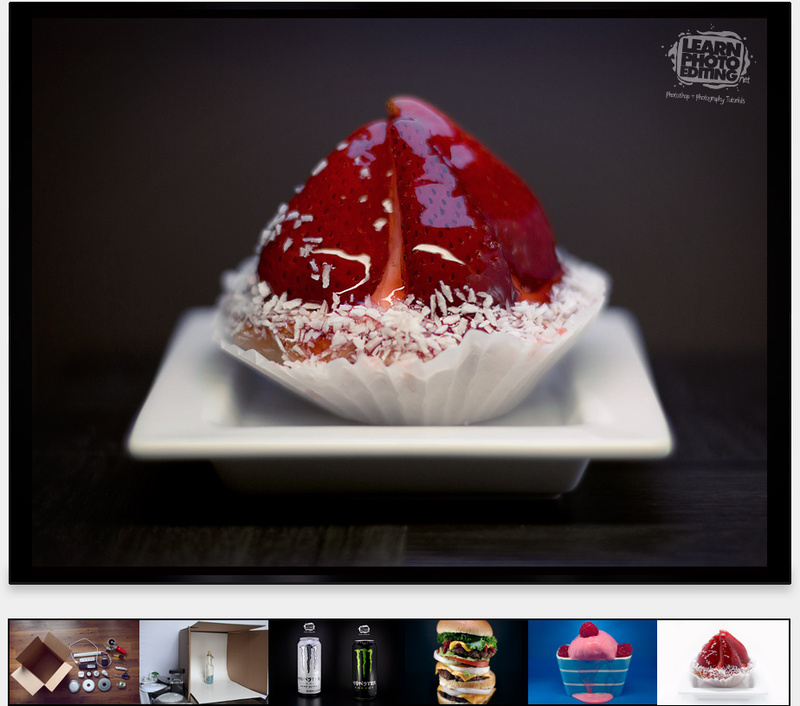 HOW TO CREATE A LIGHTBOX FOR POCKET CHANGE! This one is a huge tutorial, actually 11 wrapped up into one. 11 objects were photographed using different lighting setups and I will demonstrate in details how each were done on video. 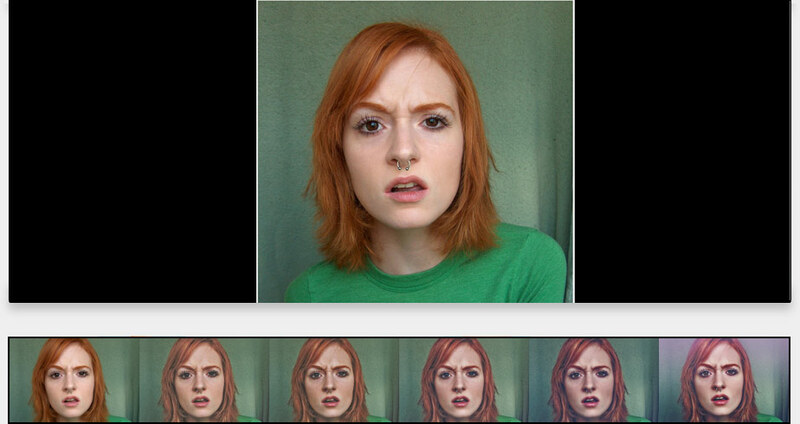 Then I go through how I color corrected/graded in Photoshop each of the 11 photos. The entire goal of this tutorial was to build the cheapest lightbox possible that would also give you professional results for photos of products you are selling, photos of food for your blog, stock photography, photos for your design business, etc... All the lights used were bought at the dollar store and at my local hardware store for barely any money. Click the link below to learn more. In this 3-hour video tutorial I'll show you how you can take retouching to the next level by mastering digital painting. In this tutorial, we will create everything from scratch, the eyeball, the iris, the eyes, the face, the nose, the mouth, the hair and the shoulder/neck. Digital painting can really be difficult, it usually requires a digital tablet and if you are not a great painter to begin with, you are looking at a steep learning curve. In this tutorial, I show you techniques any beginnners in digital painting can recreate and that, with his/her mouse! 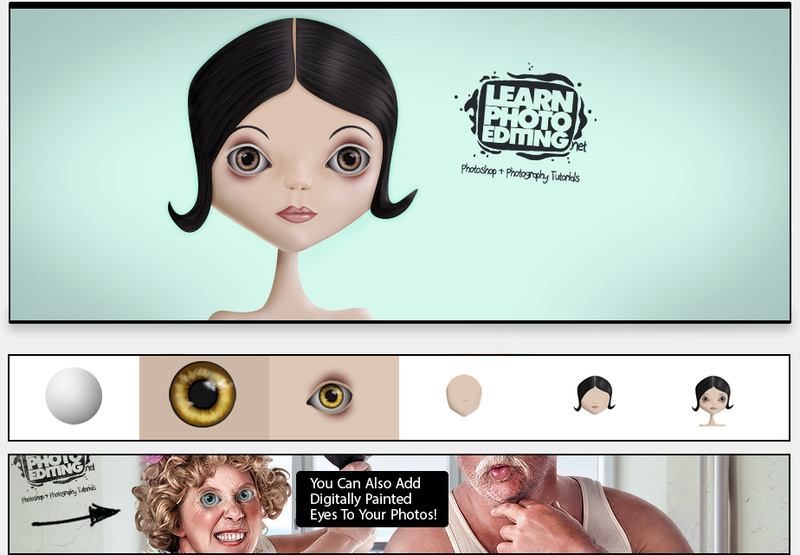 Once you master those techniques, you'll be able, for example, to add digitally painted eyes, like on the 'asylum lady' image above, which will give your images a really cool and original look! 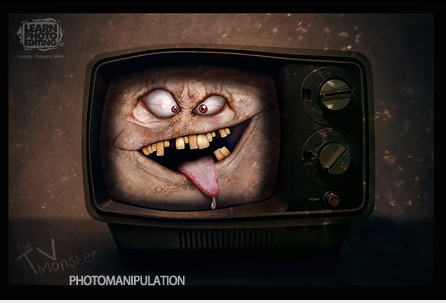 What you can do with photomanipulation is only limited by your imagination. No need for any 3D softwares to create what you have in mind, all you need is Photoshop. 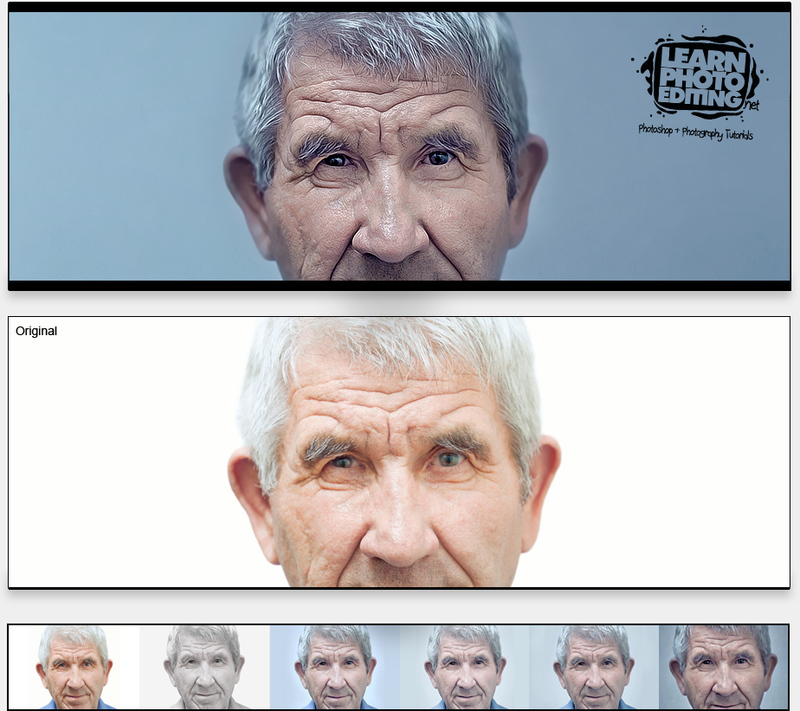 In this tutorial, I will show you step-by-step how I turned an old man into an alien creature. 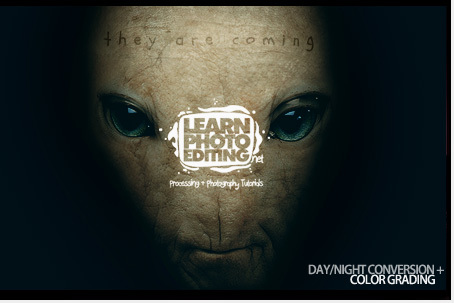 With the knowledge you'll acquire here, you'll be able to do much more than just aliens, you will be able create your own photomanipulations and transform any image you want that you can use for any purpose you want. Aside from being a fun thing to do, photo manipulations are especially usefull for creating ads or high impact images for your blog. Click the link below to learn more. 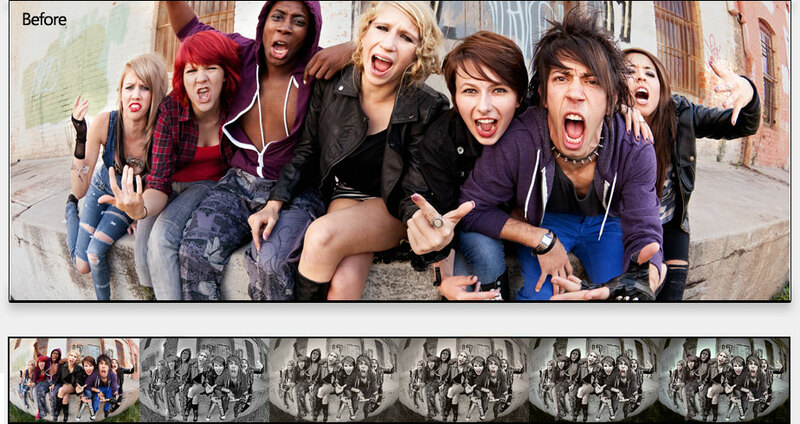 Make your subjects "pop" by increasing the details and realism of your photos. This Photoshop tutorial will focus on just that where we will start with a generic photo of an old man and then using different techniques we will transform the photo into something much more eye-catching. Click the link below to learn more. 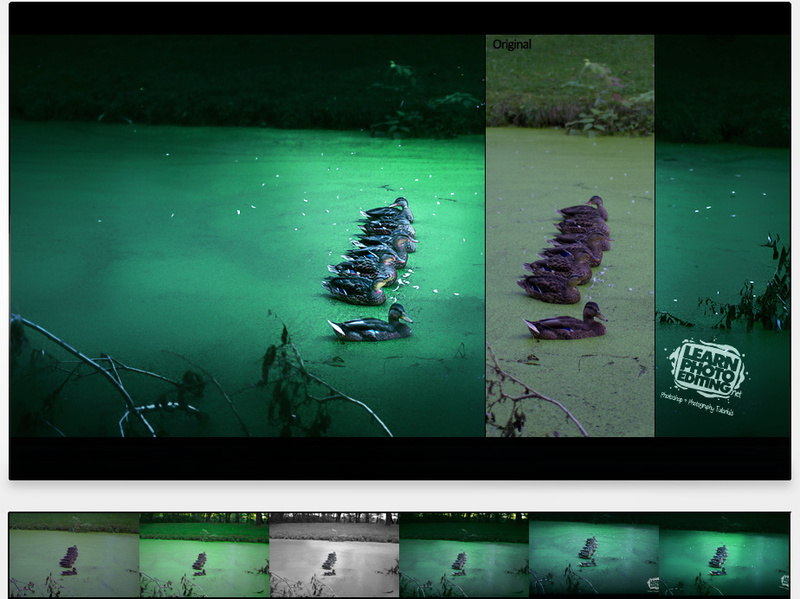 In this tutorial, we will push the limits of color grading without degrading the image. We will add colors to a very grayish, nearly black and white photo and then we will bring back the details from the shadows resulting in a drastically changed and more pleasing look. Click the link below to learn more. Compositing is a very useful procedure that consist of combining visual elements from separate sources into a single image - it is a process used for many purposes but it is especially useful for creating a fantasy background for your model/character/subject. 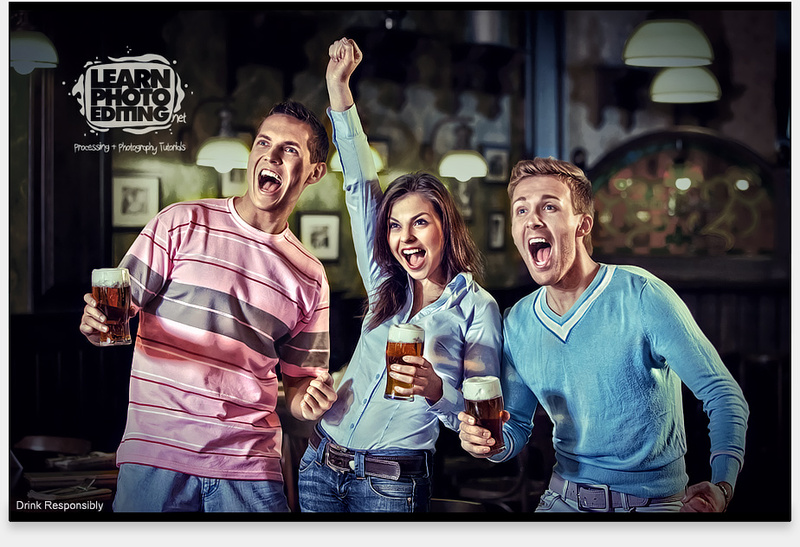 Compositing is a tool anyone who wants to spice up their images need in their toolbox. 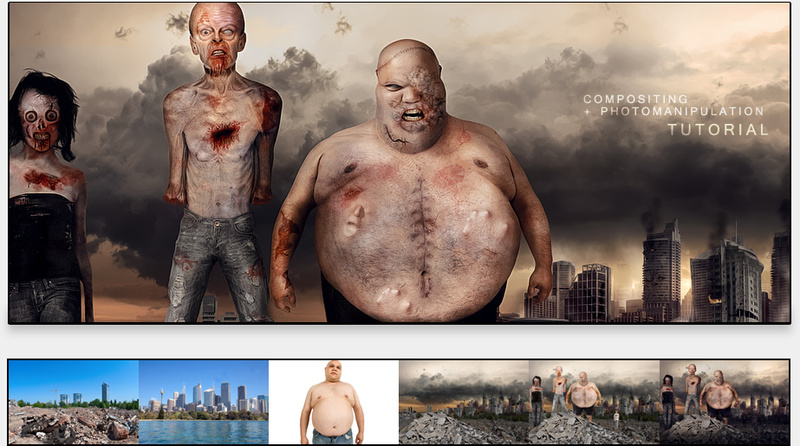 In this Photoshop tutorial, I used compositing to create a burning city with crumbling buildings that served as a backdrop for my post-apocalyptic scene and then I used photomanipulation to transform regular people into the flesh-eating zombies you see in the foreground! Click the link below to learn more. This is a 25 minute long video tutorial going through the steps I take to color correct and color grade my photos. 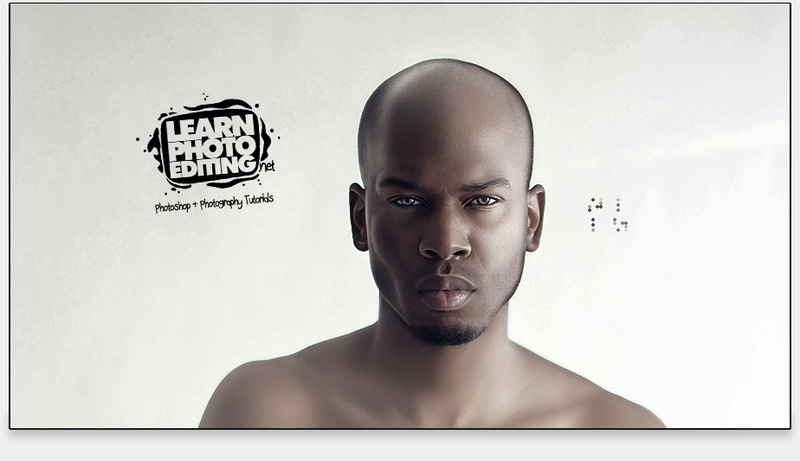 This is the perfect tutorial to learn the basics of photo editing in Photoshop and get you started. Click the link below to learn more. AND THE LIST GOES ON BELOW: MORE TUTORIALS YOU'LL GET ACCESS TO BY BECOMING A MEMBER! 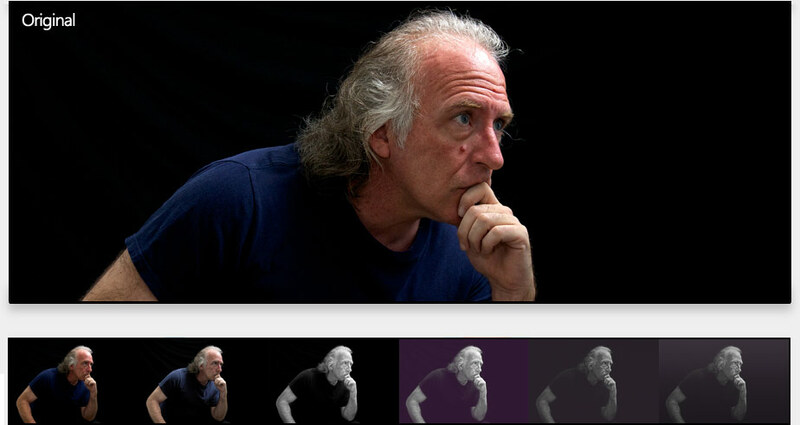 Hi, my name is Patrick Lavigne and I'm a professional graphic artist, photo editor, colorist (photo & video) and photographer. My main goal with this site is to teach you how you can create better photos by spending as little money as possible and it all starts with photo editing. No, you don't need a $3000 camera or a $1500 lens to take professional quality photos. In fact, the difference you will notice between a photo taken with an entry level DSLR camera + the kit lens and the same photo taken with the Canon 5D Mark IV for example is minimal compare to the difference you'll notice between one photo expertly edited in Photoshop and the same that wasn't. If you already have Photoshop, (you can download the free trial for 7 days btw) you can improve your photos dramatically by learning how to properly color correct and color grade. Then, you can take your photos to an whole new level if you can master the art of what we call photomanipulation, compositing and retouching. By mastering those techniques, you will be able to turn your photos into digital art! Some sites are selling their tutorials $25+ a piece, at only $5 per tutorial, I could perhaps charge $100+ for all of them, but I want to give you a MUCH better deal than that! When you join this site, you pay a one-time fee of $49 $39 (Limited Time Offer) for a Lifetime Membership which gives you access to ALL tutorials. 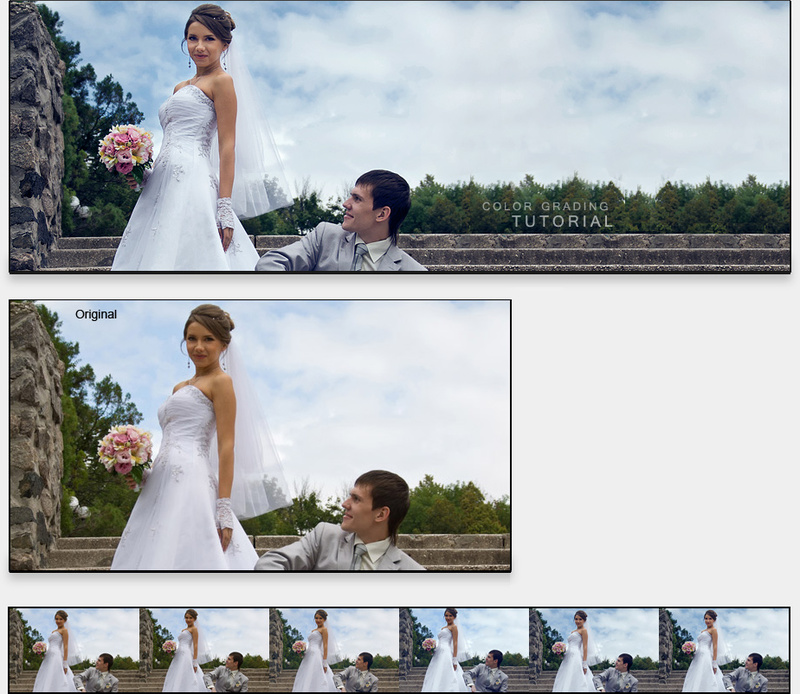 All source images for the tutorials are supplied to you so you'll be able to do exactly what I did. The tutorials were all done using Photoshop CS5 or Photoshop CC but as long as you have version CS5 or newer, you're fine! While a lot can be done with CS3/CS4, you will be limited when doing my tutorials. 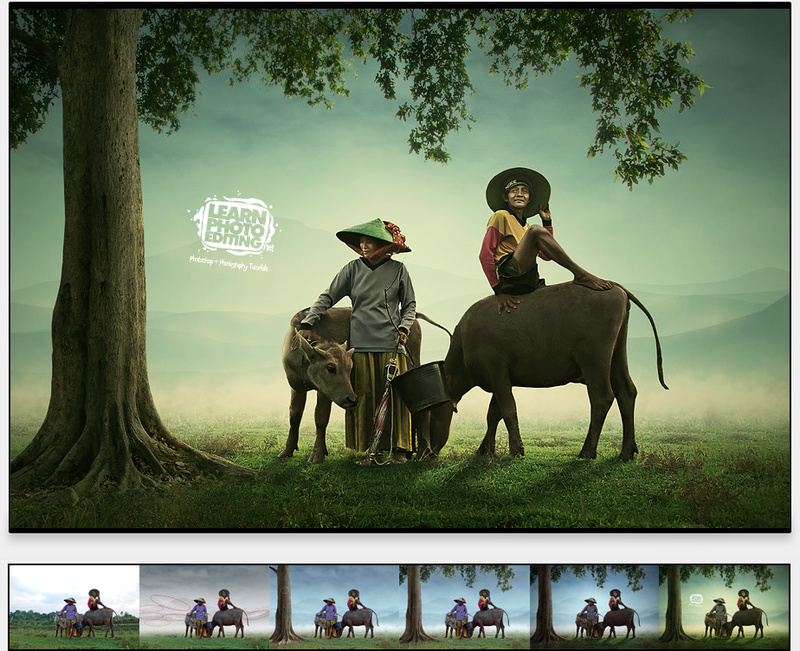 If you want to try out a more recent version, Adobe offers a Free 7-day trial. As for Photoshop Elements, it is definitely not recommended here as you'll probably feel like you're in an alternate universe following my tutorials! Happened a few times! If you are on this website and have read until this point, it's because you are a motivated artist that wants to improve and you realize that to fully unleash your talent, you need the technical knowledge you might be missing to fully express it. Learning all the ways you can edit your photos and images is like someone that finally learns the proper drawing techniques. Before, the person was making interesting doodles, now he/she's creating works of art. The talent was there but it was not fully utilized. And it's the same thing with digital art and photo editing, once you learn the proper methods, you then unleash the creativity in you that couldn't fully be expressed before. What you'll learn on this site is just the start, a glimpse of what's possible for you to achieve. By joining this site and practicing what I'll teach you, I firmly believe that you too can become a photo/image editing expert. You may doubt your potential at first but I guarantee you that after surprising yourself a few times with better than expected results, your confidence will grow and you will be believing in your true potential. It's important to have goals and that's why you are here, if it's career goals (photography, digital artist), to paraphrase the great Jim Rohn, get the skills, take the classes, be more valuable. If it's personal goals (hobby), push yourself, get the knowledge and accomplish what you want to accomplish. 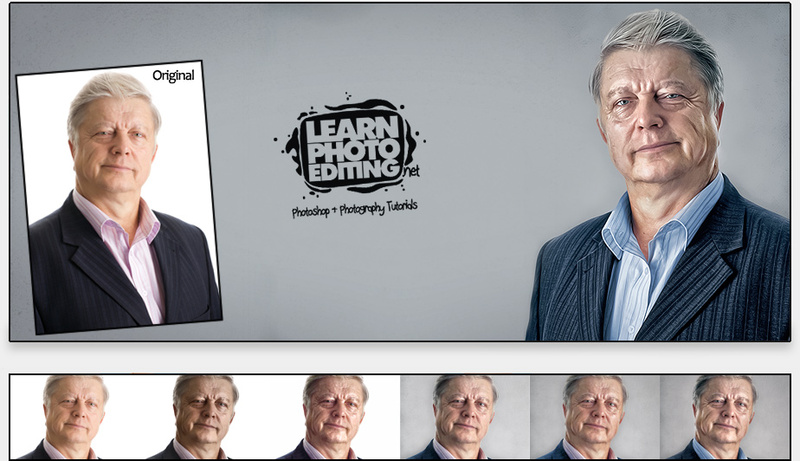 If you don't think LearnPhotoEditing is worth it, simply drop me an email - and you'll get all your money back instantly. 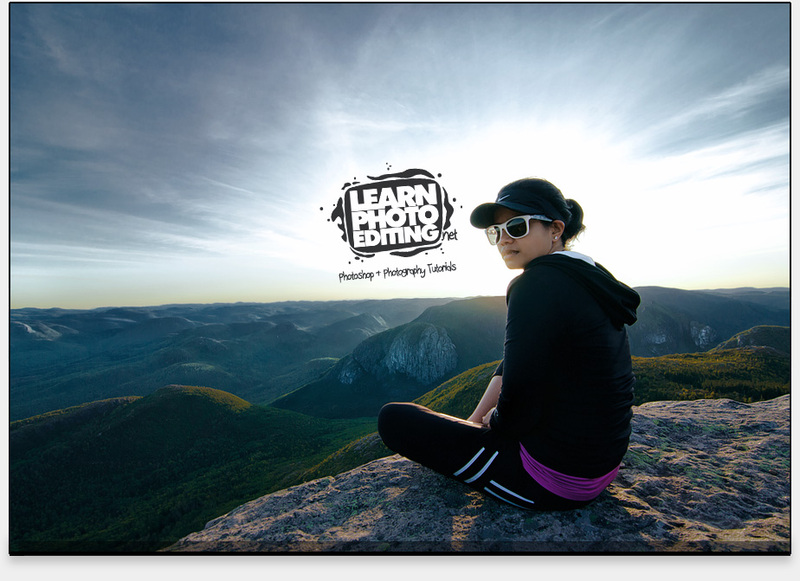 So don't wait, get the knowledge and start creating stunning images today by becoming a member of LearnPhotoEditing.net!! NOW WITH 36 PRO TUTORIALS & GROWING! LIFETIME MEMBERSHIP & UNLIMITED ACCESS! YOU ONLY PAY ONCE, NO REBILLS! LIMITED TIME - PAY ONLY $39 INSTEAD OF $49! THIS PRODUCT IS NOT ENDORSED OR SPONSORED BY ADOBE SYSTEMS INCORPORATED, PUBLISHER OF Adobe® Photoshop® software.